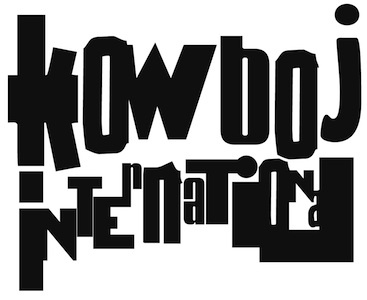 Kowboj International is an artist collective, an electro punk band, a motorcycle gang, an outdoor swimming club, a climbing club, a Table Squennis team, a sponsor of x-box multi-player online motorsport, a political party, an environmental lobby group, a drinking club. Our vision is informed by a shared belief that existence without art is existence without meaning. Therefore our collective mission is to always be questioning the nature of being an artist, which we do by working together to dream up new ways of sharing our work and ideas with others, often whilst extremely drunk. To achieve our mission we set ourselves the objective of building a machine that can harness the energy generated through the collective endeavour, a machine that can deliver benefits to everyone. Strategy One: The delivery of an annual programme of projects and events. Strategy Three: Regular conferences and summits.